Keep in simple, and do it well. Anderson’s is a family-owned garden and nursery that opened in 1954 in Newport News, VA. When they expanded into Virginia Beach, they wanted to cultivate a separate identity for their restaurant that would be a part of the new location. Their philosophy of keeping it simple, fresh, and approachable needed a represented in the name and how it looked. Sketching something simple and fresh. 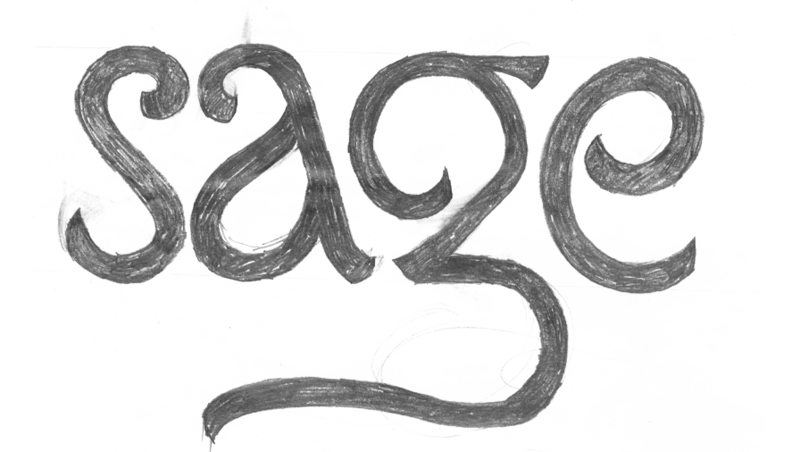 The name “Sage Kitchen” was reached after much deliberation. A common herb in cooking and synonym for wise, “Sage” perfectly embodied the mix of simple and fresh cuisine being prepared. “Kitchen” was added after exhausting all other options. In the end, it was the right word with an approachable tone. The name kept the restaurant grounded enough for a quick lunch, and still fun enough for evening cocktails. Smooth, simple, and from scratch. 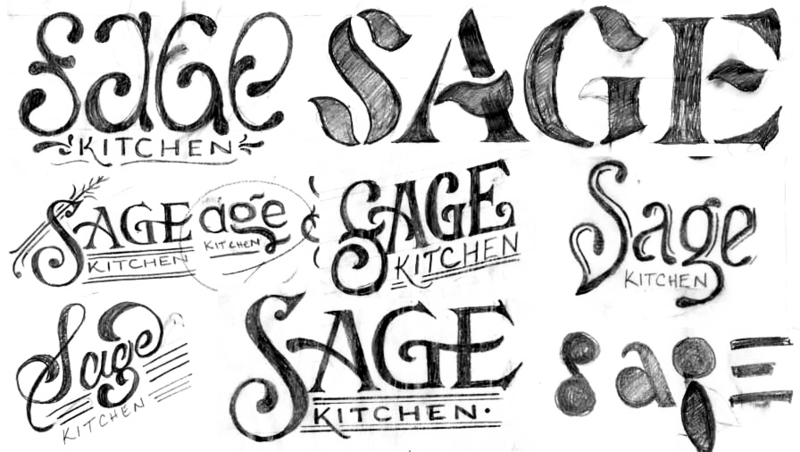 The final logotype for “Sage Kitchen” featured letterforms reminiscent of art nouveau café signage and botanical cues directly from Anderson’s produce. “Kitchen” is nestled and interconnected, almost as if it existed previously and had become over-grown. The Anderson’s brand features a heart-shaped leaf, and Sage Kitchen features a heart-shaped nod of it’s own if you’re looking for it. Like the dishes created at Sage Kitchen, the lettering was created from scratch. Even down to the very end, the curves we adjusted and refined using stacks of tracing paper and tons of erasers. Eventually the process reached a breaking point for detail, and only then was the original lettering scanned and vectorized.